My brother and I love Mexican food (though he doesn’t like avocados). 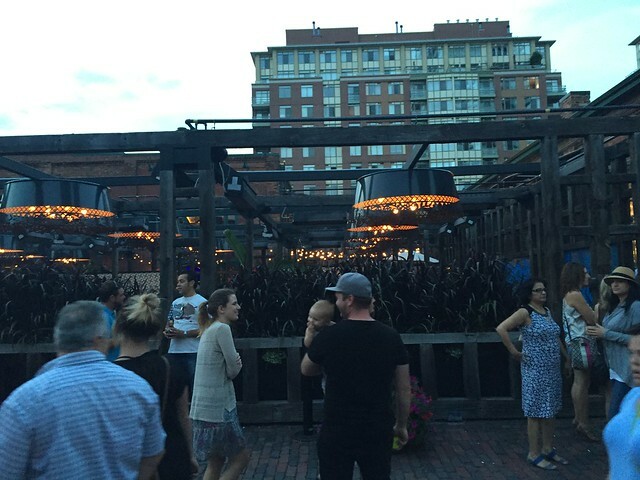 We ditched our parents and made plans with other family members to go eat at El Catrin at the Distillery District. Thankfully the weather was in our favour as the weather forecast had predicted rain (yay!). We got to the restaurant around 6:30. I had called earlier to see if I could reserve a table, but there was none (this restaurant is always busy). There was a long lineup and we were told that the wait would be an hour, but we only stood in line for about 30 minutes (another yay!). We ordered a tad too much, but everything was appetizing. 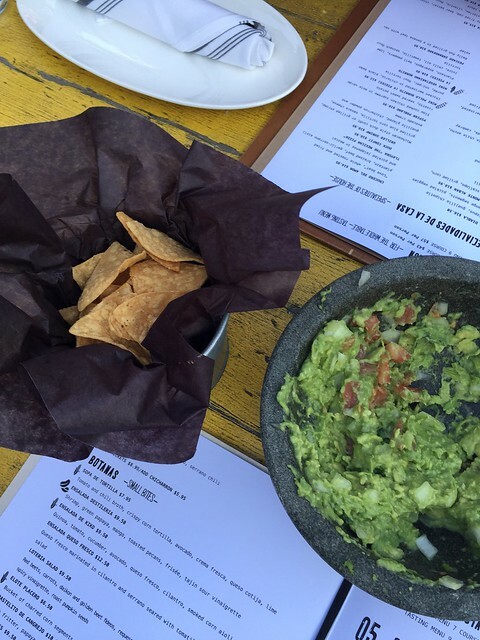 Firstly, we had an order of guacamole & chips. 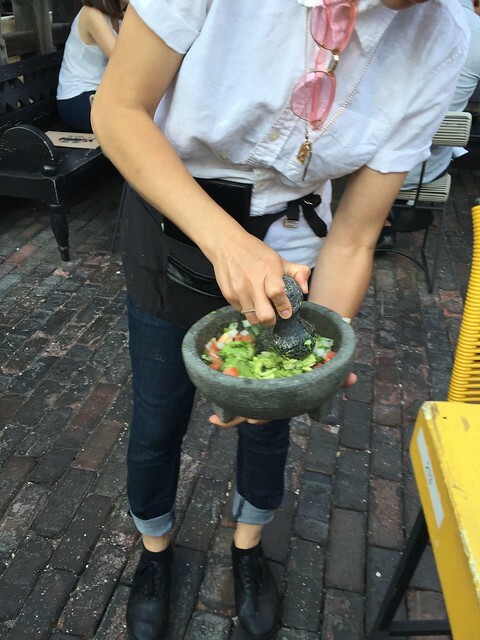 The avocados were smashed at the table before our server placed it on our table. I ordered a tradicional margarita. 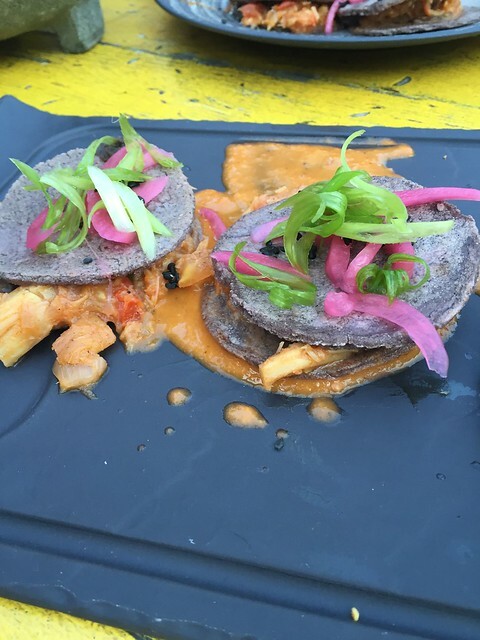 This scallop dish (callo de hacha monte alban) was probably the best dish we had. 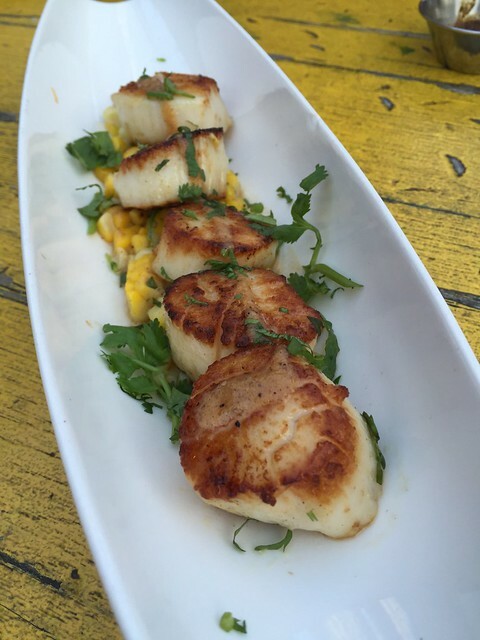 The scallop is pan roasted (to perfection) served with corn and a chilli oil. We had to order extra tacos beside each order has three pieces but we had a party of five. Can we just take a second to admire the dish presentation?! The pollo con mole wasn’t something to die for, apparently it tastes like char siu, I didn’t think it resembled the taste. This is the trio ceviche (served with chips), which included atun (ahi tuna, watermelon, yucateco mignoette, lime and chive), vuelve a la vida el catrin (shrimp, octopus, scallop, onion, cucumber, cocktail sauce and raw oyster) and todo santos (fish marinated with lime juice, sweet potato, mango, avocado, onion and serrano). 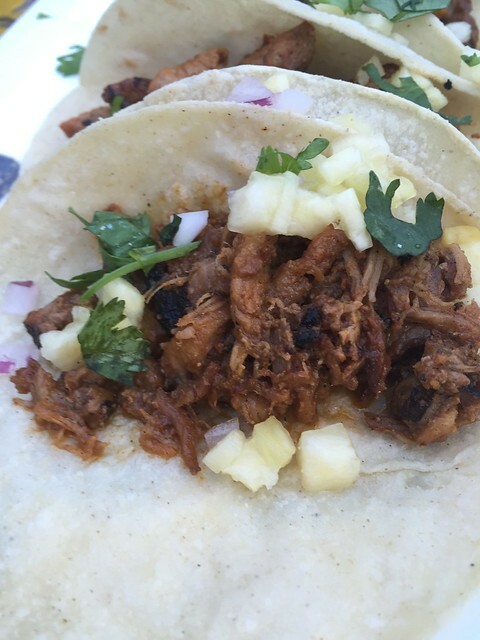 We got a bonus (free) order of pastor tacos (marinated pork, pineapple, red onion and cilantro). I don’t know how it happened and we told the server, but he told us that he would pretend that he didn’t hear us. 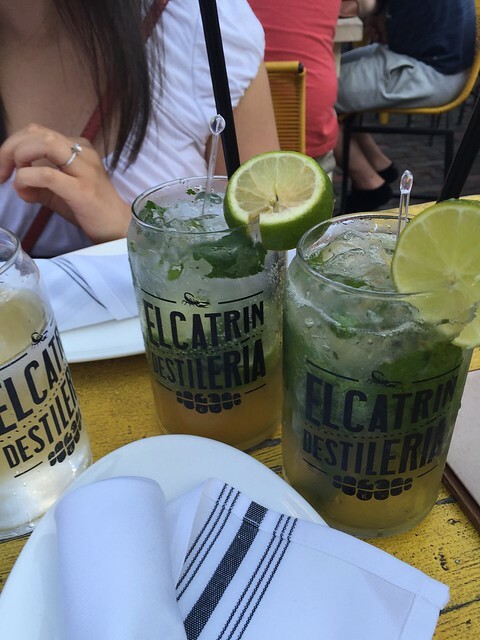 So thanks El Catrin! 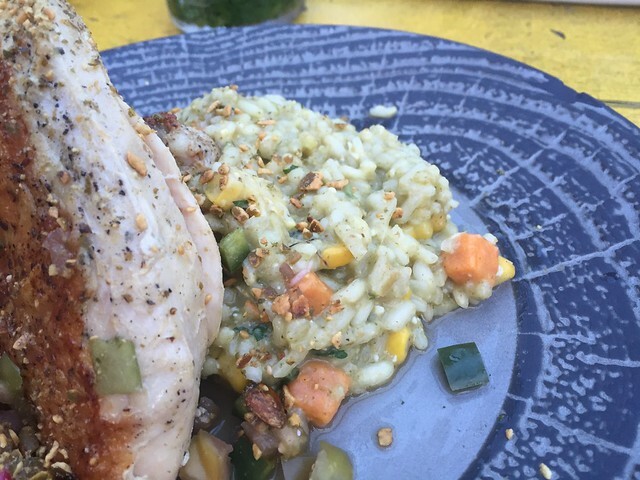 Don’t know how this dish, pipian poblano (slow cooked chicken with risotto and sweet potato), made it on the menu. 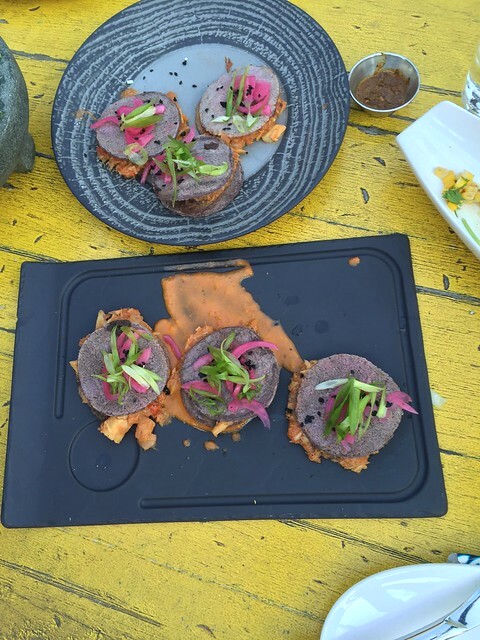 There was nothing special about this dish. It would seem more of a Sunday roast dish to me. 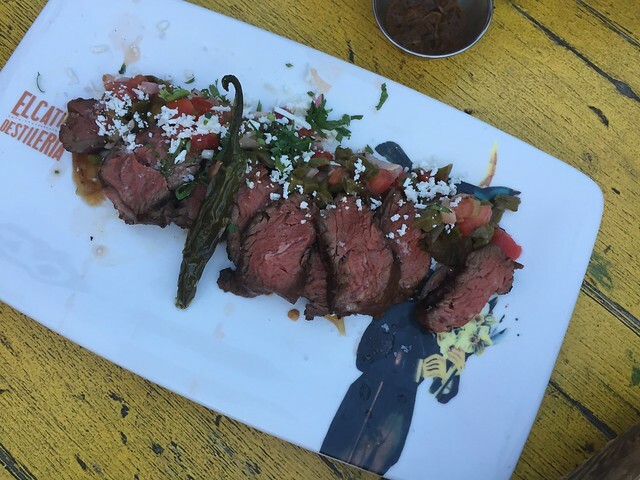 Carne asada el catrin – flat iron steak marinated in chipotle adobo, cactus salad, sautéed onion, serrano chile with queso fresco. 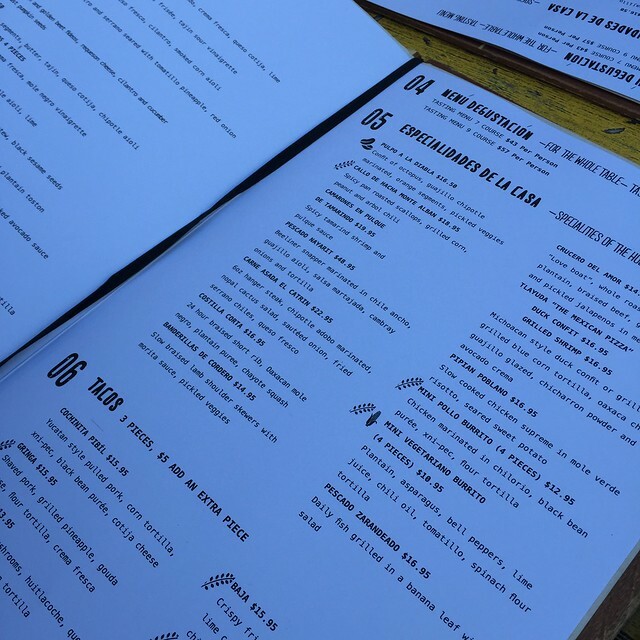 We added an order of crickets (you can add crickets to guacamole as an appetizer). after the boys decided to have a go. I tried it too, as daring as I am. 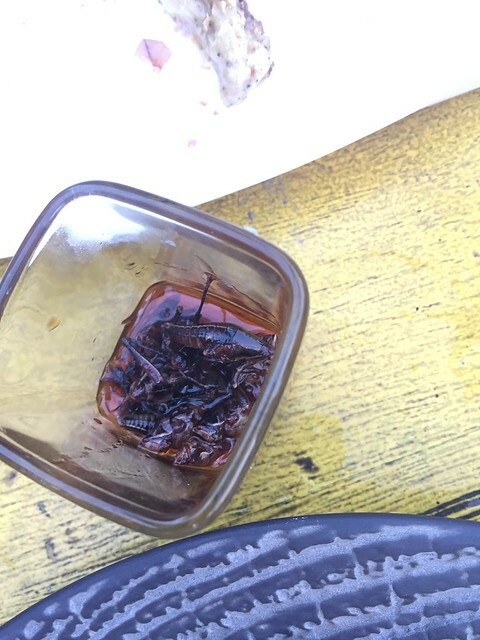 It tasted like Chinese dried black beans. Also spicy. 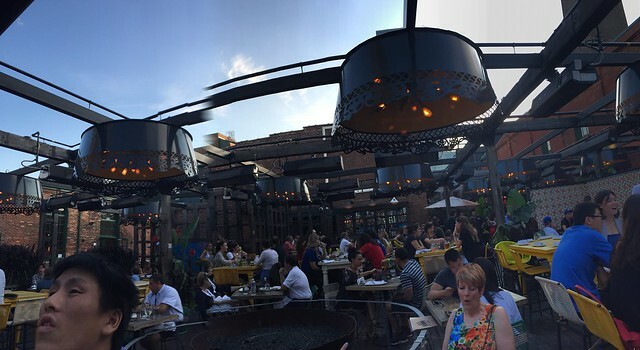 The patio sits more than inside. Inside the restaurant it dark and there are big long tables. As you can imagine, it’s pretty noisy, outside on the patio as well. Would I eat here again? Probably not, for two main reasons. 1. Price – the dishes are not cheap. With drinks and tips, it was about $60/ person (we were full though we had that extra dish). 2. Taste – I didn’t find most of the dishes wowing , aoart from the scallop. 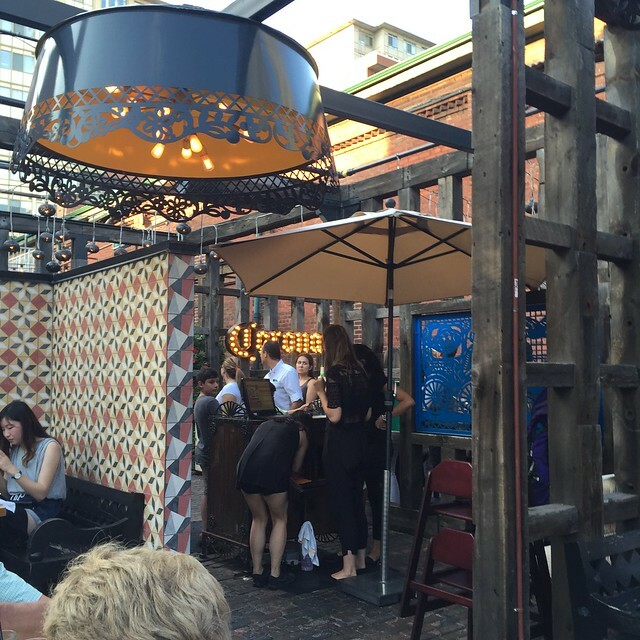 With that being said, I would totally recommend eating at El Catrin if you’re looking for atmopshere. 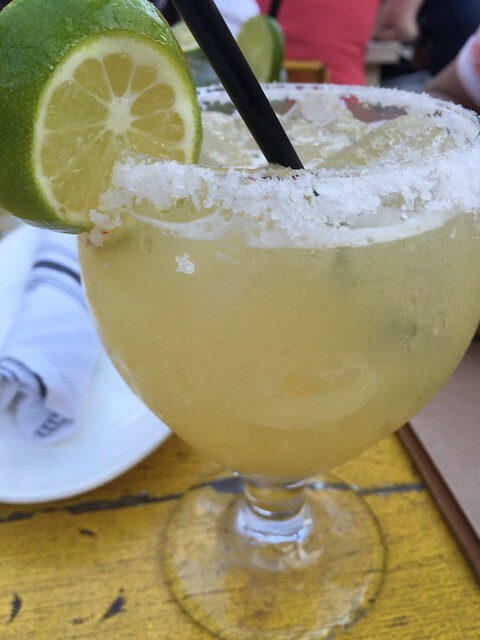 It’s vibrant and a plus if you’re a patio person. 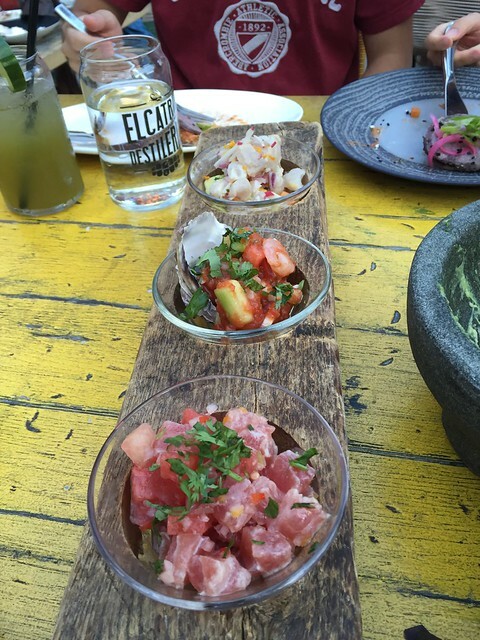 Click here for El Catrin’s website.